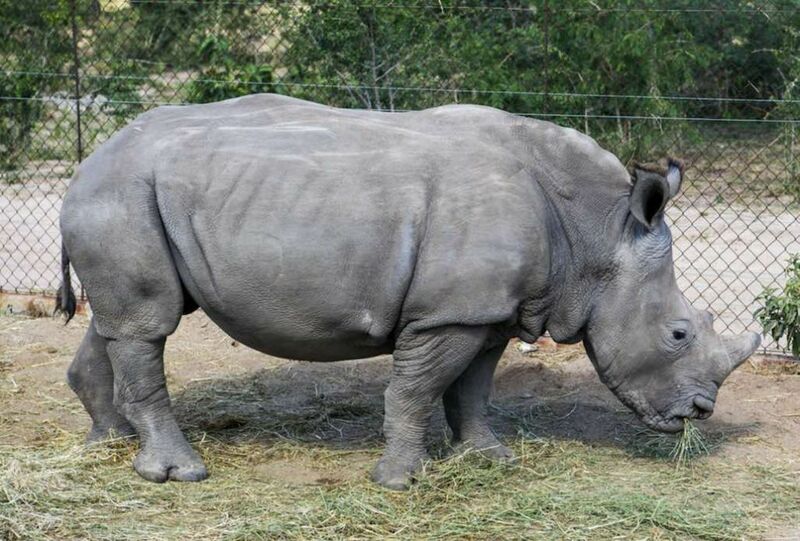 Lula is yet another young rhino, orphaned rhino, forever burdened with the sight of seeing her mother killed at the hand of poachers, and then the ensuing nightmare of being left all on her own to fend off attacks. 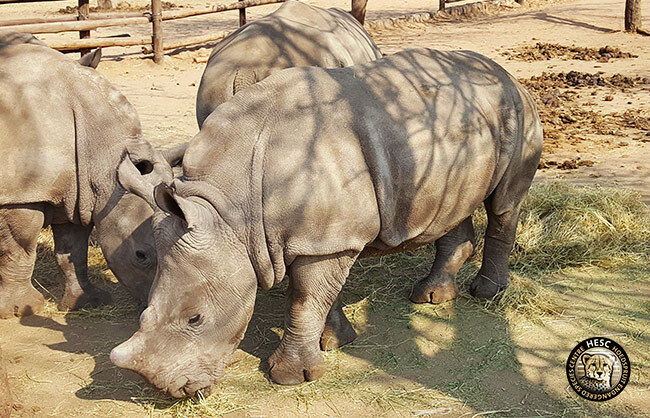 HESC took Lula into our care on the 12th February 2017, we guess she was between 5 – 6 months old, and weighed 250Kg. 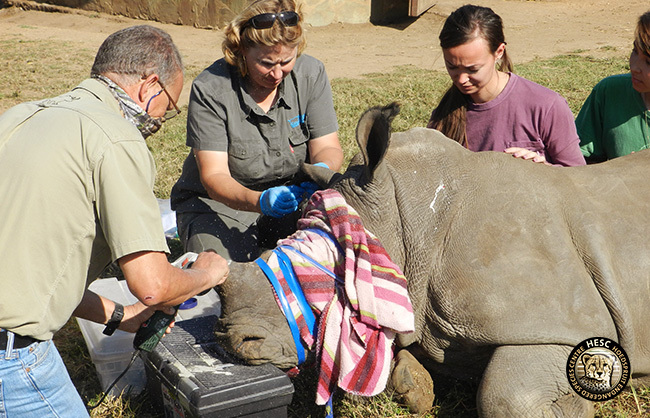 She had been found by rangers on neighbouring reserve, who spotted tracks of a rhino calf, with no matching adult rhino tracks with them, which alerted them to something being wrong. Just a couple of days prior to that, they had heard two gunshots, but had not found any evidence of the shots. Until then. 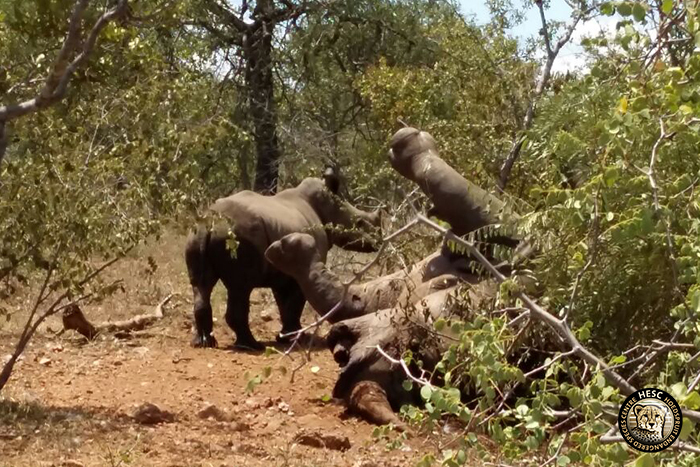 They followed the tracks, to find a stressed, scared and very dehydrated calf sitting next to his mother’s carcass. Dr Peter Rogers was called in to dart the calf, and then helicopter her through to HESC. She was clearly traumatised, and it took her some time to settle down. But she eventually relaxed over the next few days with us at HESC. After a few days, she started communicating with the orphans that were close to her boma area, they would be calling out to one another. 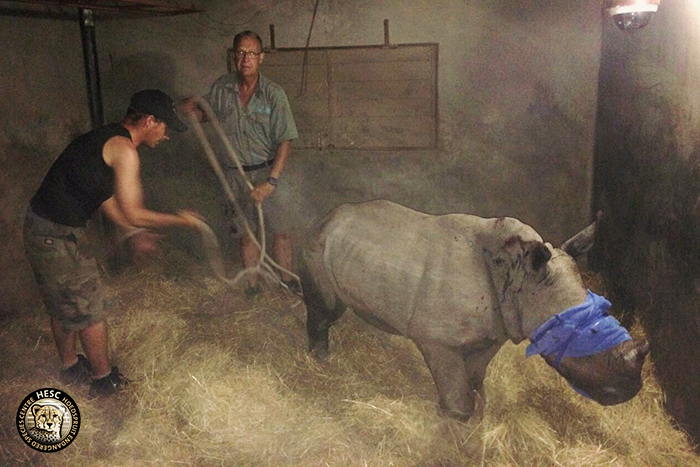 Until finally, Lula decided for herself that she was ready to meet them, and managed to break down her boma door, to go meet her soon to be friends at the fence. They were Nhlanhla, Khulula, and Olivia. Before long they were all co-habiting. Having lots of love and friends around her, clearly took her mind off things, and Lula soon settled in. Three months later, we decided it was time to dehorn her, for safety reasons. By February 2018, a year after her arrival, she was officially weaned. Thank you to everyone for your support for Lula. Please don’t forget to keep DONATING where you can! 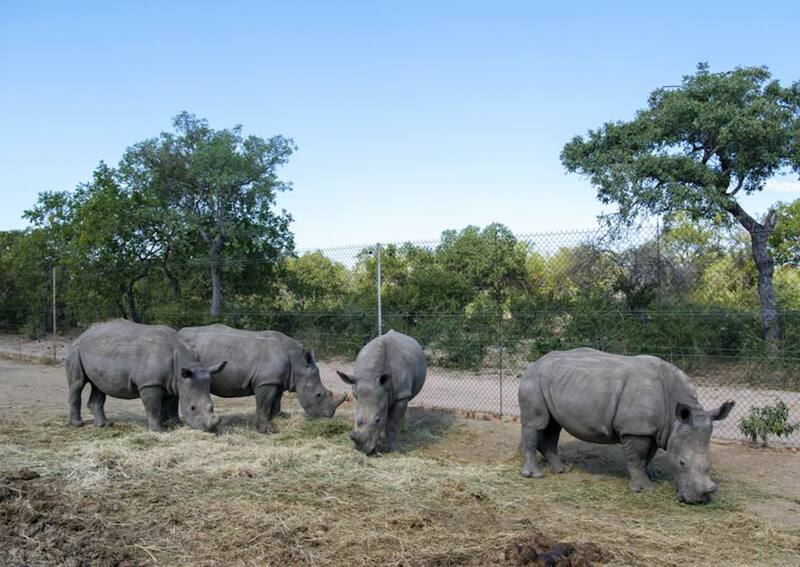 We need all the support we can to keep the rhino’s safe and healthy.